In the regional championship game, the USAO Drovers beat the Bellevue Bruins 5-4. The Drovers got a key start from pitcher Carson Corff, who went 9 innings giving up 4 runs on 7 hits. Corff moves to 8-0 on the season. The Drovers bats gathered 8 hits and were led by Kenniel Rivera, who went 2-4 with 2 singles. Christian Perez went 2-4 with a single and a home run ( his 10th of the year). Frankely Gonzalez went 1-4 with a single, Dillon White went 1-3 with a single, Wyatt Hull went 1-4 with a single and Henry Rodriguez went 1-3 with a double. The Bellevue Bruins collected 7 hits and were led by Diego Iribarren who went 3-4 with 3 singles. Riley Baasch went 2-4 with 2 singles, Derik Bontempo went 1-4 with a home run and Joe Moran went 1-4 with a single. The starting pitcher for the Bruins was Colten Barne who went 7 1/3 innings, giving up 4 runs on 6 hits. 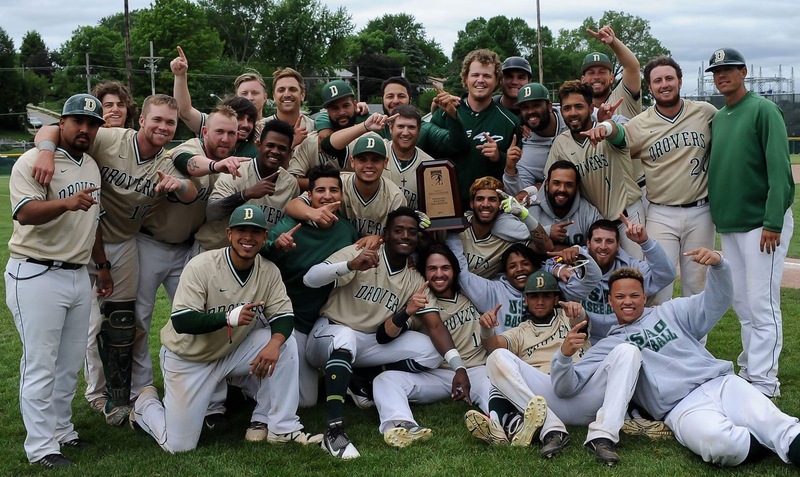 USAO: Coach Ross and the Drovers will move on to play in Idaho at the NAIA world series. Bellevue: The Bruins season will come to a end with a record of 51-11, after the 5-4 loss to USAO.